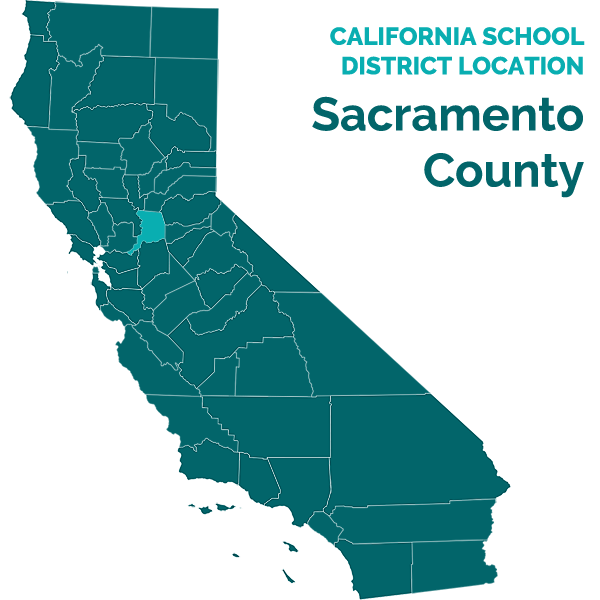 Student filed a request for a due process hearing (complaint) with the Office of Administrative Hearings (OAH), State of California, on June 12, 2013, naming the Sacramento City Unified School District (District). On August 30, 2013, Student timely filed his second amended complaint and all applicable statutory timelines started over again. On September 27, 2013, the matter was continued for good cause. Administrative Law Judge Deidre L. Johnson heard this matter in Sacramento, California, on December 3, 4, and 5, 2013. Father represented Student. Student attended the hearing on the morning of December 4, 2013. Mother did not attend the hearing.1 OAH provided an interpreter who delivered Chinese translation services for Father throughout the hearing. 1 The evidence established that Student has two parents (referred to in this Decision as Parents) and that Mother has attended some of Student’s school meetings in the past. However, Mother did not testify or otherwise attend the hearing. 2 The Administrative Law Judge has authority to redefine a party’s issues, so long as no substantive changes are made. (J.W. v. Fresno Unified School Dist. (9th Cir. 2010) 626 F.3d 431, 442-443.) For purposes of this Decision, the issues have been reframed and reorganized for consistency with the applicable law. 3 The 2013-2014 school year is not at issue in this proceeding. Daniel Osher, Attorney at Law, represented District. Becky Bryant, District’s Director of Special Education, attended the hearing on behalf of District. On December 5, 2013, the parties presented oral closing arguments, the record was closed, and the matter was submitted for decision. 1. During the 2011-2012 school year, did District deny Student a free appropriate public education (FAPE) because Student did not receive meaningful educational benefit? (c) Failed to provide effective interpreter services for Parents during the IEP team meetings? 3. Beginning on September 7, 2011, did District deny Student a FAPE by lying to Parents about, or misrepresenting the content of a September 2011 settlement agreement as it related to Student’s grade level? (b) District failed to provide occupational therapy from January through June 2013? Student contends that, for both the 2011-2012 and 2012-2013 school years, he has not made any academic progress because his grades are continually low, he performs at a very basic level, and he should be in a lower grade level classroom setting.3 Student also contends that, for the second half of the 2012-2013 school year, District failed to provide him occupational therapy as required by his IEP because Parents never received written verification for delivery of the services. Procedurally, Student claims he was denied a FAPE for the 2012-2013 school year because Parents were denied the opportunity to meaningfully participate in the IEP decision-making process. Father contends District failed to work with him to negotiate mutually agreeable dates and times for the IEP team meetings; unilaterally cancelled IEP team meetings; and failed to provide effective oral and written interpretation services for him at those meetings. In addition, Student contends that, beginning with a mediated settlement agreement in September 2011, District lied about, or misrepresented, the substance of the agreement as it related to Student’s grade level, which deprived Parent of meaningful participation, denied Student educational benefit, and accordingly denied Student a FAPE. Student requests that District be ordered to provide him reading and writing assistance including increased one-to-one tutoring; that the occupation therapy providers be ordered to document the provision of their services; and that be ordered to ensure the presence of a Chinese interpreter, at all IEP team meetings, who is willing and able to interpret all verbal exchanges; and for District to ensure the translation of all IEP documents. On all claims, District denies that it has violated the laws or regulations pertaining to special education and denies that it has procedurally or substantively denied Student a FAPE. Procedurally, District contends that it has complied with the legal requirements to have an interpreter for Father at every IEP team meeting at which he has been present, and translated a document, the 2011 settlement agreement, into Chinese when Father requested it in the spring of 2013. District argues that Parents have never requested other documents to be translated for them, despite having received notice of their right to do so. Substantively, District contends that for both school years it has offered and provided Student specialized instruction and related services as set forth in his IEPs, which have been designed to provide him meaningful educational benefit commensurate with his abilities and unique needs, based on comprehensive assessments done in the fall of 2011. This Decision finds that Student received a FAPE during fifth grade, for the 2011-2012 school year, because he made significant progress, given his disabilities. It also finds that most of Student’s procedural claims about the 2012-2013 school year were not substantiated. However, District failed to provide Parents timely notice of the June 2013 IEP team meeting. In addition, District failed to provide a written translation of its June 2013 IEP offer to Parents; thus Student’s claim that District failed to provide effective interpreter services was established. Since these procedural violations did not occur until the end of the school year, the substantive issue of whether Student was denied a FAPE during the 2012-2013 school year was reached. This Decision finds that District did not deny Student a FAPE for his sixth grade year. In addition, District did not fail to implement Student’s occupational therapy services from January through June 2013. 1. Student is now 13 years old. He resides with Parents within the jurisdictional boundaries of District. Student is eligible for special education and related services under the primary educational category of disability called Autistic-Like Behaviors, and under the secondary category of Specific Learning Disability. Student has also been medically diagnosed with attention deficit hyperactivity disorder (ADHD). Student’s educational records show that in 2010, Mother reported to an IEP team that a private psychologist had medically diagnosed Student with autism, while another private psychologist had diagnosed him with a pervasive developmental disorder, not otherwise specified (PDD-NOS).4 Student attended kindergarten and elementary school in District. He is currently in seventh grade at a middle school in the District, in a specialized communicative disorder-special day class program for the majority of the time, with some mainstreaming in the general education setting. 4 During the hearing, Father claimed that Student did not have autism, citing an Alta California Regional Center assessment report, in which he was diagnosed with PDD-NOS. However, PDD-NOS is a disorder on the autism spectrum. 2. In 2011, Parents filed a request for a due process hearing with OAH, bearing OAH Case Number 2011050674. On September 7, 2011, in connection with a confidential mediation facilitated by OAH, Father and District settled that case. At that time, Student was in fifth grade and Father was critical of Student’s lack of progress. Father wanted District to agree to transfer Student back into third grade. District objected that such a regression would not be educationally appropriate. Ms. Bryant persuasively testified that, during the negotiations, District offered to advance Student’s triennial assessments which were due in April 2012, and to do the assessments and hold an IEP team meeting by mid-December 2011. The case settled and the terms of the settlement agreement were reduced to writing in English. The interpreter at the mediation read and orally translated the settlement agreement into Chinese before Father signed the agreement. However, no written translation was prepared. A copy of the agreement in English was provided to Father that day. As a result of the settlement, District agreed to conduct triennial assessments of Student to obtain updated information as to his levels of academic and functional performance, and to provide Student with three hours of tutoring a week. 3. District completed Student’s triennial assessments as provided in the settlement agreement and held an IEP team meeting on December 19, 2011, which involved both an annual and triennial IEP team meeting. District provided Father with a Chinese interpreter for the meeting. Mother did not attend the meeting. Ms. Bryant, District’s special education director, was present, along with Jacki Glasper, a program specialist; the school psychologist, Student’s special education teacher, a general education teacher, a school principal, and a language and speech therapist. The results of Student’s assessments were discussed and Father was provided copies of the assessment reports in the English language.5 District assessors reported Student’s levels of academic and functional performance which reflected his areas of strength and deficit and demonstrated what unique areas of need Student’s IEP should address. While Father consented to the IEP that was developed, at hearing he disagreed with Student’s needs, placement, and services. 5 The appropriateness of District’s assessments is not at issue in this proceeding. 4. Student’s classroom teacher Rae Suzanne Odekirk holds a master’s degree in speech pathology and audiology and holds a clinical rehabilitative services credential which allows her to teach special day classes for pupils with disabilities. She has been a teacher for communicatively disabled pupils in District since 1991, including many pupils with autism related disorders. Most of the 15 or so pupils in Ms. Odekirk’s class had average to above average nonverbal cognitive skills with severe communication discrepancies. She taught Student during his fourth, fifth, and sixth grade years in a small, structured environment with at least one aide. Ms. Odekirk testified and established that when she began teaching Student in fourth grade, he read and wrote at a prekindergarten level, and had significant delays in his pragmatic language skills. Student had significant difficulties in focusing and attending, establishing relationships with his peers, and he often sought negative attention. At some point prior to September 2011, Ms. Odekirk also began tutoring Student for three hours a week, focusing on his reading skills. 5. By the time of the December 2011 IEP team meeting, when Student was in fifth grade, District members of the team reported that Student had met his annual IEP reading comprehension goal to formulate predictions from text read to him, and was using second grade decodable stories with 70 percent accuracy. Student had also met his decoding/phonological awareness goal to spell and decode words with long vowel sounds with at least 90 percent accuracy, at a third grade level with prompting and redirection. Student continued to have difficulty with spelling but had made substantial progress with his handwriting. In math, an area of relative strength, Student was functioning at a fourth grade level, with “scaffolding” (incremental steps) toward a fifth grade math curriculum, although the curriculum was modified. Student’s ADHD manifested as he was impulsive, fidgety, or “extremely energetic,” lacked focus, and still needed redirection, although at a lesser daily rate. Student had difficulty playing cooperatively with peers but liked school and attended regularly. 6. District school psychologist Wani Bhatti conducted Student’s triennial psychoeducational assessment over four days in November and December 2011, and presented a written report at the December 2011 IEP team meeting. Ms. Bhatti’s assessment showed that Student avoided eye contact most of the time but was cooperative and maintained sufficient attention to complete the tests. The psychoeducational assessment showed that Student’s cognitive abilities are in the average or low average range with some uneven variability in scores on three standardized tests. 7. During the hearing, Father repeatedly stated that District had failed to teach Student how to read, needed to do more to improve Student’s reading skills, and should have moved Student to a lower grade level. However, the 2011 triennial assessment showed that Student has significant auditory processing and sensory motor skill deficits. These processing deficits were reported on several assessment tests administered by the school psychologist. On the Comprehensive Test of Phonological Processing, which measures skills necessary for mastery in reading and written language, Student obtained a “very poor” standardized score of 67, at the first percentile in phonological awareness, which relates to the sound structure of language. For phonological memory, which is the ability to remember how sounds and letters go together, Student obtained a “poor” score of 70, at the second percentile. And, for rapid naming, which is the ability to efficiently retrieve phonetic information necessary for reading fluency, Student obtained a “very poor” standardized score of 49, below the first percentile, meaning that more than 99 percent of his peers have higher levels of skill. On the Test of Word Reading Efficiency, Student again scored poorly, below the first percentile for sight word efficiency, and at the first percentile for phonemic decoding efficiency. 8. Student’s processing disorder, along with his ADHD and autistic behaviors, contributed to his lowered academic performance on the standardized academic test administered by Ms. Odekirk, the Woodcock-Johnson III Tests of Achievement, Third Edition. On this test, he scored in the average and low average ranges in math calculation and reasoning, respectively; but scored at or below the first percentile in reading comprehension, and written expression. The school psychologist, Ms. Bhatti, found that Student was basically functioning about two years below his grade level in both of those areas. Student needed some one-to-one instruction, repetition, and reinforcement in reading. 9. Regarding Student’s fine motor and sensory motor skill deficits, District contracted with a nonpublic agency, Jabbergym Inc., to provide occupational therapy services. For the December 2011 IEP team meeting, the provider’s occupational therapist, Mandie Boone, conducted an assessment, including clinical observations and a standardized test, and submitted a written report at the meeting. Student scored in the below average ranges in the areas of fine manual control and manual coordination. Ms. Boone reported to the December 2011 IEP team that Student had made “substantial progress” over the prior year with his handwriting but still had difficulties with correct letter formation, word and letter spacing, and correct line placement when not given a model to copy. In the area of sensory processing, Student appeared calmer after 15 to 20 minutes of “challenging heavy work activities” at the beginning of his therapy sessions. 10. Student had made some progress on his occupational therapy goals. The writing goal was changed from creating and copying four sentences on a given topic to creating and writing five sentences on a topic without the use of a model. Regarding Student’s attention to task, the therapist reported he had made substantial progress on his annual goal to remain seated during a 20-minute table top task, but still needed more than two verbal prompts to do so. However, Student demonstrated he was able to participate at the table, and the goal was changed from just sitting through the activity to actively participating in it, with no more than two verbal prompts. 11. Student’s triennial language and speech assessment was conducted by Allyson Bailey, a speech and language pathologist, in November and December 2011, and she submitted in a written report to the IEP team. Ms. Bailey administered standardized tests and, in the areas of expressive, receptive, core language and language memory, Student scored at or below a percentile ranking of .01 percent, well below two standard deviations from the mean scores, and was rated as having a “very low range of functioning.” In addition, he scored in the low range on a pragmatic profile. 12. After the IEP team discussion of the assessments and update information about Student’s progress, District made Student an annual offer for his continued eligibility, and continued educational placement in fifth grade in a specialized communicative disorder-special day class. The above assessment results and scores led both the school psychologist and the IEP team to find that Student had a severe discrepancy between his cognitive abilities and his academic performance in reading and writing, and continued to display several behaviors related to autism which impacted his performance. He therefore continued to qualify for special education under the categories of Specific Learning Disability and Autistic-Like Behaviors.6 At hearing, Father did not recall or understand what Specific Learning Disability was, and did not understand its correlation to Student’s reading deficits. 6 Eligibility for special education in the category of Specific Learning Disability requires proof of two things. First, the pupil must have a disorder in one or more of the basic psychological processes involved in understanding or in using language, spoken or written, which may manifest itself in the imperfect ability to listen, think, speak, read, write, spell, or perform mathematical calculations. Second, there must be a severe discrepancy (at least one point five standard deviations) between intellectual ability and achievement in at least one academic area as shown on standardized tests. 13. The December 2011 IEP offered Student an appropriate educational placement and services that were consistent with his assessments. The IEP offered that Student would remain in Ms. Odekirk’s class, at a fifth grade level, for 360 minutes daily; with occupational therapy once a week for 60 minutes; both individual and group language and speech therapy for 30 minutes a session, 50 times during the annual period; accommodations, modifications, and supports; and extended school year services for the summer of 2012. It also addressed Student’s need for one-to-one instruction by offering him tutoring before school. The IEP addressed Student’s deficits as documented in the assessments by having annual goals in the areas of sensory processing, attention, handwriting, participation, reading fluency, reading comprehension, punctuation, and social communication. District’s tutoring offer was that Student would receive three hours of tutoring a week until the next annual IEP team meeting in December 2012, except not during the extended summer school. 14. The IEP team determined, and the evidence established that Student had made significant progress in moving from a pre-kindergarten level in fourth grade to a second grade reading level in fifth grade, and that he had made progress in most other areas as well, even though he had not met all of his annual goals. Father consented to the IEP by signing the IEP, which was written in English. 15. From the time the December 2011 IEP was approved and implemented, through the end of the 2011-2012 school year, including the 2012 extended summer school session, the evidence supports a finding that Student continued to make slow and meaningful educational progress, given the significant nature of his disabilities. Ms. Odekirk established that her class was a language-rich environment which provided the children a lot of visual supports, vocabulary development, role playing, and scaffolding activities. She was credible in describing Student’s active participation and success in her math class. During her English language arts class, Student actively participated in a lengthy project involving a story about “100 pennies,” in which he created a memory book with his Mother’s participation over several months. 16. In the settlement agreement, District had agreed to provide three hours of tutoring a week only until the December 2011 IEP team meeting. As found above, at that meeting, District offered to continue the tutoring at the same rate for the ensuing year as an IEP offer of FAPE. This offer reflected the IEP team’s determination and consensus that Student required extra tutoring in order to receive a FAPE, due to his need for increased one-to-one instruction, repetition, and reinforcement, particularly in reading. 17. For the 2011-2012 school year, Ms. Odekirk provided Student’s tutoring three times a week, for an hour each time, before school started. She also asked Mother to come in to learn the sight word reading vocabulary she was teaching Student so the lessons would carry over into the home, and Mother cooperated. Ms. Odekirk was convincing that the tutoring made a significant impact in both Student’s academic and functional performance. She was also persuasive that this amount of tutoring was sufficient and that more hours of weekly tutoring would not be beneficial for Student. His attention and focus deficits due to his autistic disorder and ADHD make one-to-one instruction both rewarding and difficult, as it requires his intense concentration. She was convincing that to burden Student with increased tutoring would be counterproductive if not harmful. 18. Ms. Odekirk credibly described and established Student’s significant behavior issues when he started in her class in fourth grade, including conflicts with his peers and inappropriate silly remarks, lack of attention and focus, continual need for redirection and one-to-one attention, lack of self esteem, and lack of experience with feeling successful. In fifth grade, most of these behaviors had significantly lessened although Student still needed a lot of redirection, and he was becoming more confident. His pragmatic skills had increased but he still required maximum cues and his social communication goal was therefore continued. 19. Father believed that Student had not made any educational progress because his report card grades were consistently “below basic.” Father claimed Student did not belong in fifth grade if he could not perform fifth grade work, and was therefore in the wrong class for the 2011-2012 school year. Father believed that the only measure of progress he needed to look at was Student’s grades. 20. Ms. Odekirk established that District’s grading system showed Student as performing “below basic” in most areas for purposes of its standard report cards, which did not make allowance for modified curriculums for pupils with disabilities. She and other District witnesses, including District’s special education director, Ms. Bryant, established that Student’s educational program and measures of progress are controlled by his IEP and his annual IEP goals, and not by District’s standard grading system. 21. Student did not present any evidence to rebut District’s evidence of his progress during fifth grade other than his report card grades and his low levels of reading and writing skills. The evidence established that Student continued to receive educational benefit through the end of the 2011-2012 school year as provided in his IEP. 22. Ms. Odekirk also testified about how well Student progressed during sixth grade for the 2012-2013 school year. However, before Student’s claim of a substantive denial of FAPE for that school year may be evaluated, Student’s procedural claims for that school year must first be evaluated. 23. Following the December 2011 IEP team meeting, Student’s next IEP team meetings were scheduled for December 14, 2012, and January 24, March 1, May 24, and June 7, 2013. Student claims that District failed to schedule these meetings on dates and at times that were mutually agreeable to Father. 24. Ms. Bryant, as the director of special education for District, and the director of District’s Special Education Local Plan Area (SELPA), is responsible to oversee the legally compliant functioning of the special education department for not less than 6,100 pupils identified as children with qualifying disabilities on IEPs for their education. Each of these pupils is entitled to not less than an annual IEP team meeting. Ms. Bryant is well-qualified as a school administrator with many years of education, training, and experience, including as a classroom teacher. 25. Ms. Bryant delegated the scheduling and handling of Student’s IEP team meetings to Ms. Glasper, the program specialist. IEP team meeting dates are initially selected by the program specialists based on their schedules and the schedules of District members of the IEP team. All of District’s IEP team meeting notices for Parents as found below contained Ms. Odekirk’s name and telephone number as the contact person. The forms all included boxes Parents could check to indicate they required the assistance of an interpreter (with a blank line to fill in the language), or that they requested a different time or place. District did not have the meeting notices translated into Chinese for Parents because, to its knowledge, Parents had not requested Chinese translations of any of Student’s IEP records or notices. There is no evidence that either Father or Mother returned the meeting notice forms for any of these IEP team meetings signed with any of the above boxes checked one way or the other. 26. Ms. Glasper set Student’s next annual IEP team meeting for December 14, 2012, and had a meeting notice prepared by staff and mailed to Parents by U.S. mail on November 16, 2012. The notice was a prepared form in English with fill-in blanks and check boxes. 27. Ms. Odekirk testified that when Mother dropped Student off at school in the morning for tutoring, she would speak with Mother in English, and Mother would respond in English. Ms. Odekirk generally confirmed with Mother the dates and times of IEP team meetings. For the December 2012 IEP team meeting, Ms. Odekirk reminded Mother of the meeting and asked to confirm her attendance. Mother informed her she would not attend as Father had decided to attend the meeting instead. Ms. Odekirk tried to persuade Mother to attend as she was familiar with Student’s IEP and Ms. Odekirk was very excited about Student’s progress. She called the home to confirm the presence of Parents but Father hung up the phone on her. 29. On January 15, 2013, District caused a written IEP team meeting notice in English to be prepared and mailed to Parents for a meeting on January 24, 2013. The notice listed Ms. Bryant as one of the participants. District retained an interpreter who called the family, and Father indicated he was not available on that date, but was available on January 23, or 25, 2013. District verbally agreed to reschedule the meeting for an unknown time on January 23, 2014. However, earlier on that date, Ms. Odekirk tripped and fell, suffered a broken rib, and required emergency medical assistance. Parents were notified that the meeting was cancelled and no IEP team meeting was convened. Father claimed District deliberately cancelled the meeting, as found below. 30. On January 31, 2013, District caused a written IEP team meeting notice in English to be prepared and mailed to Parents for a meeting on March 1, 2013. On February 7, 2013, District sent a second, revised IEP team meeting notice to Parents for the same date, which added the names of Ms. Bryant and Ms. Bailey as identified participants. On March 1, 2013, the IEP team meeting was convened, and the evidence showed that Father attended, along with interpreter John Lee, and District members of Student’s IEP team. 31. Although Father claimed District arbitrarily set this meeting and did not work with him as to his scheduling needs, he did not present any evidence that he had a scheduling conflict for March 1, 2013, or that District failed to work with him or honor any scheduling conflicts regarding this meeting. As found below, Ms. Bryant terminated the meeting after Father continued to argue about various matters. This was a contentious meeting and it was adjourned without starting or completing Student’s annual IEP review. 32. District thereafter called the Parents to attempt to reschedule an IEP team meeting for Student before the end of the school year. Father hung up the telephone on Ms. Odekirk and would not schedule a date. On May 9, 2013, District caused a written IEP team meeting notice in English to be prepared and mailed to Parents for a meeting on May 24, 2013, again for the purpose of conducting Student’s tabled annual IEP team meeting. Mr. Lee, the interpreter, called Parents to remind them of the meeting. Father stated he would not attend the meeting but did not provide a reason either to Mr. Lee or at hearing. He stated he would attend an IEP team meeting after Student started middle school in the fall. 33. There is no evidence that District provided Mr. Lee with a copy of the actual IEP team meeting scheduling notice to have him translate the document into Chinese for Parents. There is no evidence that Mr. Lee was aware of the provision on the form that provided Parents could request a different date or time, or that he discussed that option with Father when he spoke with him on the telephone. Mr. Lee testified that he understood his job was to inform Father to attend the meeting. He did not translate the meeting notice for Father but merely told him he should attend the meeting. 34. Father testified that Mr. Lee ordered him to attend an IEP team meeting but it was not clear if he was referring to the May 2013 IEP team meeting, or a different time period in September 2013, when Mr. Lee telephoned Parents to explain that they should attend another meeting in District. Father testified that he was never given a choice about the IEP meeting dates set by District. However, in light of the fact that Father did successfully request a change in the date for the January 2013 IEP team meeting, his testimony on this point is not credible. 35. Father does not work outside the home during the day. He presented no evidence as to why he did not agree to attend the IEP team meeting set for May 24, 2013, such as whether he had a bona fide conflict and was unavailable; or why he did not call Ms. Glasper, Ms. Odekirk, or Ms. Bryant to ask to reschedule the meeting. Because Father declined to attend, District cancelled the meeting. 36. On June 6, 2013, District caused a written IEP team meeting notice in English to be prepared and mailed to Parents for a meeting on June 7, 2013, listing Ms. Bryant as an invited participant. Ms. Odekirk testified that she usually called Parents or spoke with Mother at school to remind them of scheduled IEP team meetings but there is no evidence whether she did so for the June 2013 meeting. There is no evidence that District attempted to conduct the meeting with Parents over the telephone. 37. The IEP team meeting was held on the scheduled date without Parents. There is no evidence that Parents were aware of, or afforded the opportunity to attend the meeting or to negotiate for a different date. District mailed a copy of the June 7, 2013 IEP in English to Parents to solicit their consent, and they did not sign the IEP. 38. As found above, District convened Student’s annual IEP team meeting on December 14, 2012, and Father attended the meeting. All required IEP team participants were present, along with an interpreter. Ms. Bryant was not a required member of the IEP team and was not present. The first paragraph of the written scheduling notice informed Parents as follows: “You have the right to have other individuals present who have knowledge or special expertise relating to the above student.” Ms. Bryant’s name was not listed on the notice and neither Parent asked District in advance to arrange for her to attend the meeting. Ms. Bryant was credible in her testimony that prior to December 14, 2012, she was not aware Father wanted her to attend Student’s IEP team meetings and that she had not previously agreed to do so. 7 Because Ms. Bryant had attended Student’s December 2011 IEP team meeting to ensure continuity with the terms of the settlement agreement, Father assumed she would continue to attend Student’s IEP team meetings. 39. District made a good faith attempt to conduct the annual IEP team meeting to review Student’s then-present levels of academic achievement and functional performance and review his IEP services and goals as required by law. However, Father did not permit that discussion to take place. He refused to participate in the meeting unless District’s special education director, Ms. Bryant, attended the meeting, because he claimed to have an agreement with Ms. Bryant that included her attendance at Student’s IEP team meetings.7 In addition, Father asserted that Ms. Bryant had not honored aspects of the 2011 mediated settlement agreement which included an academic assessment, tutoring, and a lowered grade level placement. He claimed Student was not performing at a sixth grade level, and should not be moved to middle school for the following school year. District members reminded Father of the prior school year, which had included assessments and an IEP team meeting in December 2011. 40. Ms. Glasper, District’s administrative representative at the meeting, offered Father a choice to go ahead and discuss his concerns and Student’s progress, or to continue the meeting to secure Ms. Bryant’s appearance. Since Father insisted on Ms. Bryant’s presence, the meeting was terminated at his request. District cooperated with Father to continue the IEP team meeting. 41. As found above, the next scheduled IEP team meeting on January 24, 2013, was cancelled because Student’s special education teacher was required by law to attend the meeting and was unavailable due to a broken rib. District telephoned Parents and informed them of the cancellation. 42. The IEP team meeting on March 1, 2013, began and quickly deteriorated. As found above, Ms. Bryant unilaterally terminated the IEP team meeting after repeated attempts to obtain Father’s cooperation to discuss Student’s performance levels, rates of progress, and the appropriateness of his IEP. The record established that District IEP team members attempted for over an hour to communicate with Father and obtain his consent to proceed with the meeting, with the assistance of the services of the interpreter, Mr. Lee. Father insisted, during that meeting, and at hearing, that he was talking about Student’s education program because he complained about District’s failure to remove Student to a lower grade level as allegedly agreed to in the settlement agreement. Regardless of the merits of the argument, Father refused to cooperate to listen to the other team members provide valuable information about how Student was doing in his program and to formulate his overdue annual IEP. 43. Parents did not attend the June 2013 IEP team meeting. Since the meeting was not cancelled, it is not relevant to this limited procedural claim about District unilaterally cancelling IEP team meetings. 44. At hearing, Father’s testimony on this issue is reframed and summarized as follows: District, and Ms. Bryant in particular, either deceived him about the content of the 2011 settlement agreement, or changed its content to eliminate an agreed-upon provision to lower Student’s grade level; and, as a result, Student has therefore been denied a FAPE because he lost educational benefit, and Father’s right to meaningfully participate in the IEP decision-making process was thereby significantly impeded. Father believes that District deliberately cancelled or terminated the December 2012, and March and May 2013 IEP team meetings to prevent him from asking questions about why District has not honored the agreement, and why they will not retain Student in elementary school. 45. At the December 2012 IEP team meeting, Father accused District of not following through with terms of the 2011 settlement agreement as found above. At the March 2013 IEP team meeting, Ms. Bryant asked Mr. Lee to translate it into Chinese for Father but Mr. Lee refused because that was not his assignment. Ms. Bryant therefore read the settlement agreement out loud and Mr. Lee translated or interpreted her words into Chinese. Father then claimed the agreement had been altered and Ms. Bryant was not telling the truth because what he understood was that District had agreed to move Student back into a lower grade and that provision was no longer in the settlement agreement. 46. Ms. Bryant provided credible and persuasive testimony that District, which she represented during the mediation on September 7, 2011, did not agree with Father’s request to remove Student from fifth grade and return him to a third grade class. Instead, in order to compromise with Father, District offered to advance Student’s triennial assessment that was otherwise due by April 2012. District’s settlement focus was that objective assessment data would show whether Student was appropriately placed in fifth grade, or whether he should be retained at a lower grade level. Because Ms. Bryant understood from the existing information that Student was making progress in a specialized class with modified curriculum, she hoped the assessments would show Parents that Student did not need to be retained behind. 47. Father’s testimony on this point was confusing. He provided no explanation for waiting so long to complain that District failed to implement an agreement to remove Student to a lower grade. Although Father asserted he had earlier complained about not getting a written translation of the document, District denied receipt of such a communication. Father did not appear to recall or understand that he consented in writing to the December 2011 IEP offer, which did not offer to remove Student to a lower grade because the assessment results showed positive progress in his program. In addition, Father failed to consider whether he might have misunderstood something during the mediation process. Because the settlement agreement had not been translated in writing, Father had only his memory and the English version of the agreement he had originally received. There was no provision to lower Student’s grade level in the agreement. 48. As found above, Student’s primary or native language is Cantonese, a Chinese dialect. However, Student’s primary or dominant language at school has been and is English. Student testified at hearing and did not hesitate to answer questions asked in English without the assistance of an interpreter. Student’s IEPs have designated English as his language for purposes of his education. Both Parents speak some limited English. However, there is no question that Father required and utilized the services of an interpreter during the hearing to understand the proceedings. In addition, whenever Mother or Father attended an IEP team meeting for Student, District consistently provided the services of an interpreter for them. 49. At the beginning of every IEP team meeting for Student, Ms. Glasper, District’s program specialist, provided Parents with two written notices of their procedural safeguards: one in English and one in Chinese. The notices included advisements that Parents have a right to receive prior written notice in their native language, and that they have a right to understand the proceedings and provide informed consent, including being provided with an interpreter. 50. Ms. Glasper established that it was her practice to present the Parents’ Rights form to parents at the beginning of an IEP team meeting and then ask them if there were any questions. She opined that “prior written notice” included the pupil’s IEP document formulated during an IEP team meeting even though the Parents’ Rights form did not say that. She also asserted that the fact that parents have a “right” to have prior written notice in their native language meant that the parents had to assert that right by asking for a translation. Ms. Bryant confirmed that District’s policy is to provide translations on request, which she believed was consistent with the law. 51. The evidence established that, at each of the IEP team meetings at issue in this case where Father participated, Ms. Glasper provided him with copies of the Parents’ Rights notices in both English and Chinese, and asked through the interpreter whether Father had any questions. There is no evidence that Father ever asked any questions. However, there is also no evidence that District provided Father time at the IEP team meeting to read the notice or to have the interpreter read it to him. District personnel who testified uniformly stated that neither Mother nor Father ever requested Student’s records, including his IEPs, to be translated into Chinese until this year. 52. Father testified passionately at hearing that he has consistently asked for documents to be translated into Chinese, including the 2011 settlement agreement. In connection with the March 2013 IEP team meeting, Father requested a written translation of the agreement which was successfully communicated through the interpreter. District finally delivered a written translation of the agreement to Parents in June 2013. 53. While this issue is limited to the 2012-2013 school year, the events involving both the settlement agreement and the December 2011 IEP team meeting are relevant and informative. District did not provide Parents with written translations of the settlement agreement, any of Student’s 2011 triennial assessment reports, or the December 2011 IEP. As of the time of the hearing, District had not provided Parents with written translations of any of Student’s IEPs. Student’s December 2011 IEP was still his operative IEP at the time of the hearing. It is 74 pages long, including the assessment reports. The triennial psychoeducational report itself is 10 pages and filled with complex charts, scores, and assessment data. The language and speech report is three pages, and the occupational therapy report is five pages. The portion of the IEP containing Student’s goals, including progress reports on his prior goals, comprises 23 pages. In addition, the triennial assessment plan is included in the IEP. It is in English, and bears the signatures of Ms. Bryant and Father dated September 7, 2011, the day of the settlement. It was apparent during the hearing that Father was either not aware of, or did not recall most of the IEPs contents. 54. Ms. Glasper testified credibly and persuasively that, at the December 2011 IEP team meeting, all of Student’s triennial assessment reports were discussed orally with Father. She confirmed that the gist of each report was explained to Father, with the assistance of the interpreter, as was the team’s discussion. Ms. Glasper was confident that the Chinese interpreter was interpreting the discussion due to the pace and length of the translations. She was confident Father understood because he asked questions and responded appropriately. Father did not inform her that he did not understand something, or indicate that the interpretation of something was incomplete or not satisfactory. Ms. Glasper established, as verified in her brief IEP meeting notes, that Student’s levels of performance and functioning were “reviewed.” However, there was no evidence that Parents were provided any of the evaluations in advance of the meeting. Nor was there any evidence that the interpreter at the meeting was directed to orally translate the precise contents of each report to Father. Rather, each assessor orally described and summarized her report, and that oral summary was interpreted for Father. 55. For the December 2012 and March 2013 IEP team meetings, District also utilized Chinese interpreters for Father. At hearing, Father attempted to ask Mr. Lee questions about what occurred at the March 2013 IEP team meeting. Mr. Lee was deliberately vague in his responses, and claimed not to recall much of anything. He at first denied any recollection of refusing to translate a document on Ms. Bryant’s computer and then later recalled it. There was evident animosity between Father and the interpreter. Mr. Lee had difficulty with both Father and Mother in attempting to communicate with them by telephone when he called to inform them of IEP team meetings, including their hanging up on him. Mr. Lee presented with a formal demeanor that leant credibility to Father’s claim that Mr. Lee “ordered” him to attend meetings. Mr. Lee viewed Father as “argumentative” but insisted he did his job to interpret and summarize what was said at the meetings. However, he did not recall Father informing him when he could not understand something. His testimony on this point was also not credible. In addition to Mr. Lee’s asserted lack of recall, it was inconsistent with Father’s demeanor and utilization of the services of his interpreters during three days of hearing, where he often asked a question about something that was translated or requested a clarification. 56. District mailed the June 7, 2013 IEP offer to Parents as they had not attended the IEP team meeting held on that date. The IEP was in English with no written Chinese translation. The IEP was 30 pages in length and contained updated progress reports on Student’s academic and functional performance and his goals, and an offer of placement and services including a transition to middle school. It also included the IEP team meeting notes for the December 2012 and the March 2013 IEP team meetings that had been prepared by Ms. Glasper. Although District claimed at hearing that it was a draft, the word “draft” was not present on any page of the document and the claim was not credible. Father established that when he received the June 2013 IEP in the mail, it was accompanied by a written request for Parents to consent to it. By this time, since Father believed District had altered the 2011 settlement agreement, he would not consent to the IEP in its English version. In his second amended request for hearing, Father requested that all IEP documents should be “interpreted into Chinese” and stated that he would sign documents only when he fully understood their contents. 57. Student remained in Ms. Odekirk’s special day class for pupils with communicative disorders for the 2012-2013 school year in sixth grade. The only evidence that Student may not have progressed educationally is that his report cards continued to show he was still performing below basic. 58. However, as noted in Factual Findings 3 through 21, above, District established that Student’s progress is measured by his IEP, assessments, and annual goals. Ms. Odekirk was convincing that Student continued to make good progress in sixth grade and she was very proud of his accomplishments. Student’s reading decoding and fluency showed significant growth from his prekindergarten scores in fourth grade. Ms. Odekirk had assured Student she would not call on him in class as he was shy and quiet. In sixth grade, however, Student asked to read out loud, so they practiced during tutoring, and Student successfully read to the class. Student’s behaviors had dramatically changed as well. He actively participated in class with fewer instances if inappropriate comments. He was performing at a proficient level in fifth and sixth grade level math. Ms. Odekirk had seven 6th graders in her class, including Student, and she worked to prepare them for the transition to seventh grade, including taking them on a field trip to the junior high school. She was convincing that it would be harmful to Student’s self esteem and punitive to return him to a lower grade level. 59. At the December 2012 and March 2013 IEP team meetings, the team had not reviewed Student’s IEP and progress due to Father’s insistence on discussing the settlement agreement. Following Father’s refusal to attend the May 2013 IEP team meeting, District was concerned that Student was transferring into middle school in the fall. Student was entering into seventh grade and since his annual IEP, that was originally due in December 2012, had never been completed, the data regarding Student’s levels of performance and progress toward his goals was a year and a half old, and would not provide his new school with accurate information. In addition, fast approaching the end of the school year, District wanted to address Student’s needs for extended school services for the 2013 summer. 60. As found above, Parents were not aware of and did not attend the IEP team meeting held on June 7, 2013. Ms. Glasper attended as District representative, along with Student’s special education teacher, Ms. Odekirk, and Ms. Bailey, Student’s speech therapist. At this meeting, District members of Student’s IEP team found that he still required redirection and sensory breaks, but had made meaningful progress. Student had made modest progress in reading fluency in sixth grade, moving from a beginning second grade, to a mid-second grade level. His math scores ranged from basic to proficient at a fifth grade level. He continued to have difficulty establishing appropriate relationships with his peers and needed redirection to stay focused on tasks, although he required less redirection than in the previous year. He still required tutoring before school, frequent breaks, and sensory breaks. District’s IEP offered that he remain in Ms. Odekirk’s special day class for communicatively disabled pupils for the remainder of the 2012-2013 school year, continue to receive language and speech therapy 15 times over the next year at 30 minutes per session,8 and occupational therapy once a week for 60 minutes a session, along with extended summer school services. District IEP team members’ consensus was that Student was capable of, and was offered a transition to middle school for the 2013-2014 school year. District did not recommend to retain him in elementary school, and the offer was reasonably based on Student’s progress and chronological age. Ms. Bryant was persuasive not only because of Student’s progress but because of his size and age. She had observed Student’s physical appearance and demeanor when he appeared at hearing to testify. Student is tall and is now a teenager at the age of 13. 8 The June 2013 IEP justified the lowered amount of Student’s language and speech services from those in the prior IEP due to the “shortened year” covered by the IEP but the calculations were not explained at hearing. There was no evidence District intended to actually reduce the services. 61. Father’s claim that District did not deliver Student’s IEP occupational therapy services to him from January through June 2013, is based on Father’s prior experience receiving weekly documentation of Student’s therapy, and his failure to ask the any District questions about its continued delivery of the services in the absence of documentation. 62. As found above, occupational therapist Mandie Boone had conducted Student’s November 2011 triennial occupational therapy assessment, reported his levels of performance and progress, and recommended further annual goals and services which Father accepted. The December 2011 IEP provided Student occupational therapy once a week for 60 minutes. At that time, and through December 2012, Student was transported by bus from the school site to the therapy and then returned to school. Because Student left the custody and control of the school, the provider gave written documentation for each therapy session to District and Student in the form a copy of the log entry note made by the therapist to memorialize each session. Parents relied on receipt of the log notes to be assured Student received the therapy. 63. Occupational therapist Barbara Cameron testified at the hearing and produced copies of the provider’s log notes for Student’s therapy sessions. Ms. Cameron obtained a master’s degree in occupational therapy in 2000, holds an occupational therapy license, and has been Student’s primary occupational therapist for over a year. Ms. Cameron established, through the log notes that the provider faithfully delivered, Student’s occupational therapy every week school was in session from September 13, 2012, through the end of July 2013. She was persuasive that the logs were made in the normal course of the provider’s delivery of services to Student at or near the time of each session. Beginning in January 2013, the provider went to the school site to deliver Student’s occupational therapy. After the services moved onto the school campus, Student was no longer transported, there was no change of physical custody, and the provider did not need to give Student a copy of the log note to take back to school and Parents to document the therapy. It therefore stopped providing copies of the log notes. 10 All references to the Code of Federal Regulations are to the 2006 version unless otherwise stated. Issue 1: During the 2011-2012 school year, did District deny Student a FAPE because he did not receive meaningful educational benefit? 5. Student contends that for the 2011-2012 school year, he did not show any academic improvement, thereby proving that District failed in its obligation to provide education to him, and denied him a FAPE. District argues that Student received meaningful educational benefit for that school year both academically and functionally. 10. Student did not introduce any evidence to show that his operative IEP for the beginning of the 2011-2012 school year prior to the December 2011 IEP team meeting was defective or denied him a FAPE. Student did not introduce any evidence to show that District’s offer of placement and services made at the December 2011 IEP team meeting did not meet his unique needs or was not reasonably calculated to deliver some meaningful educational benefit to him at the time the offer was made, except for Student’s low academic grades and his low reading and writing abilities. District’s December 2011 IEP was developed with up-to-date information on his then-current levels of academic achievement and functional performance after a comprehensive triennial assessment. 11. Father did not present any qualifications to support his opinions. He is not a professional educator or assessor and did not appear to understand either Student’s disabilities or his IEP programs and services. Father’s claim that Student made no academic progress was based solely on Father’s misplaced reliance on District’s report card grades, which showed Student performing at a level below basic, including reading at a second grade level in fifth grade. In math, although Student was performing fourth grade math with some links to fifth grade math, his math curriculum was nevertheless modified. Father’s insistence that a child who reads at a second or third grade level should remain in that grade level reflects his misunderstanding about how special education programs operate. If that were the case, then children with significant disabilities who have grown and matured physically into teenagers would be on school campuses with kindergarten pupils. This would not only be inappropriate but dangerous to the younger pupils. Special education strives to provide age-appropriate, as well as developmentally-appropriate individualized and specialized programs so pupils with significant disabilities can grow and mature with their peers, experience the achievement of measures of success commensurate with their abilities, and transition to a productive adulthood. 12. In addition, Father’s opinion did not give Student any recognition for the significant progress he had made under Ms. Odekirk’s instruction and tutelage. When Student began in Ms. Odekirk’s classroom in fourth grade, he was reading at a prekindergarten level. By the middle of his fifth grade year, Student was reading at a beginning second grade level and he continued to show progress thereafter. Father’s emphasis on the fact that Student did not read fluently at a fifth grade level emphasized Father’s disappointment, rather than Student’s progress. The evidence showed that Student’s self esteem and confidence would be damaged by requiring him to regress in grade levels, and that it would be inappropriate for Student to be placed in a classroom with significantly younger and smaller children. Now that Student is in seventh grade in middle school, Father’s request to return him to elementary school would have a punitive and damaging effect. 13. The record shows many explanations for Student’s levels and rates of progress, most of which were documented in District’s triennial assessment completed in 2011. While Student’s cognitive abilities are mainly in the average and low average range, he has a significant auditory processing disorder which impairs his ability to process oral language and information and significantly impairs his reading and written expression skills. In addition, Student’s autistic disorder also negatively impairs his ability to excel in his education, including his sensory deficits and difficulties in social and pragmatic communication. Father’s complaint that Student’s reading delays are District’s fault, or that District could and should remediate Student’s deficits by putting him in a lower grade level class, and tutoring him until he was able to catch up to a grade level commensurate with his age, is unfounded. 14. Student did not meet his burden of proving that District deprived him of meaningful educational benefit during the 2011-2012 school year. Issues 2(a): During the 2012-2013 school year, did District procedurally deny Student a FAPE by denying Parent meaningful participation in the decision-making process because it failed to arrange mutually agreeable dates and times for his IEP team meetings? 15. Student contends that, during the 2012-2013 school year, while he was in sixth grade in Ms. Odekirk’s special day class for pupils with communicative disorders, District failed to schedule his IEP team meetings on dates and times mutually agreeable to Parents. District argues that it stood ready to work with Parents if any particular date or time for an IEP team meeting was a problem for them, but received no such information except on one occasion, when District cooperated and rescheduled the meeting. 20. The evidence established that when Father was unable to attend the IEP team meeting scheduled for January 24, 2013, he requested the date to be changed, offered two different dates, and District rescheduled the IEP team meeting for January 23, 2013, instead. The fact that Father requested a date change for the January 2013 IEP team meeting established that Parents knew they could negotiate with District for a different date, and did so. This evidence thus defeats Father’s claim that Parents did not know they could negotiate with District to change the dates of Student’s other IEP team meetings, or know that the English version of District’s IEP team scheduling notice contained a provision inviting parents to communicate their requests for different dates. 21. Father did not present any evidence that he had a bona fide conflict with respect to the scheduled IEP team meeting dates of December 14, 2012, or March 1, 2013. Father appeared at those IEP team meetings because he understood that the meetings were scheduled via the scheduling notice, Mother’s verbal communications with Student’s teacher, and/or an interpreter’s telephone call to Parents at the request of District. As to the IEP meeting scheduled on May 24, 2013, Father refused to attend and did not present any evidence of a scheduling conflict or attempt to negotiate a different date. 22. As to the scheduling of the June 7, 2013 IEP team meeting, however, Student sustained his burden to establish that District’s scheduling notice dated June 6, 2013, did not provide Parents with any reasonable advance notice of the meeting to ensure Parents’ opportunity to attend the meeting or negotiate a different date. There was no evidence that the notice was delivered in any manner other than District’s customary mailing of notices to Parents. Even assuming a one-day delivery of the mail to Parents, there was no evidence they received their daily mail before the time scheduled for the meeting. The law is clear that District is entitled to conduct an IEP team meeting without the parent so long as it has made bona fide, documented attempts to schedule it with Parents. District did not comply with the law by scheduling and conducting this meeting without documentation of any attempts to schedule it, because they made no such attempts with regard to this meeting. 23. Based on the foregoing, District committed a procedural violation when it failed to provide Parents sufficient notice of the June 2013 IEP team meeting to enable them to be aware of the meeting, plan to attend, and negotiate any change in the date or time of the meeting. 24. District contends it should be excused for its failure to make attempts to provide Parents with reasonable advance notice of this meeting, and a fair opportunity to negotiate scheduling, based on Father’s lack of cooperation at the December 2012 and March 2013 IEP team meetings his refusal to attend the May 2013 IEP, and his stated intent not to attend another IEP team meeting until Student transferred into middle school. 25. As noted in Legal Conclusion 18, above, a district is entitled to hold an IEP team meeting without the parents if they maintain a detailed record of reasonable attempts to communicate and mutually negotiate an agreeable date and time. Here, District noticed four prior IEP team meetings, had to cancel one due to the teacher’s injury, experienced Father’s lack of cooperation and obstruction at two of them, and received his refusal to attend the fourth meeting or any further IEP team meeting until Student’s fall school year. District was required by law to have an IEP in place when school started in the fall. Student’s IEP had expired in December 2012, and District had no updated data on his goals and progress to deliver to the middle school. District’s IEP scheduling notice dated May 6, 2013, gave Parents ample time to plan to attend or negotiate another mutually agreeable date or time for the May meeting. When Mr. Lee reported Father refused to come, however, there was no evidence District made any further attempts to engage Parents in dialogue. District’s decision to schedule another IEP team meeting in June 2013 was reasonable. However, their decision that Parents had somehow forfeited the right to receive proper notice of the meeting did not comply with the law. 26. District should have given Parents adequate notice of the June 2013 IEP team meeting along with further attempts to communicate the importance of the meeting. District therefore committed a procedural violation. Student did not establish that his right to a FAPE was impeded or that he suffered a deprivation of educational benefit as a result of this violation as his December 2011 IEP was still implemented. 27. As to Parents, however, this violation impeded their opportunity to participate in the June 2013 IEP team meeting, or negotiate another date or time, as the meeting was held without any timely notice to them or attempts to communicate with them. Accordingly, District significantly impeded Parents’ right to participate in Student’s IEP decision-making process, and therefore denied Student a FAPE. As noted in Legal Conclusions 30, 32, and 33 below, Father engaged in repeated obstruction of the IEP process since December 2012, refused to cooperate in the agenda for convened IEP team meetings, refused to set aside his complaints to review Student’s progress or update his IEP, refused to attend the May 2013 meeting, and refused to attend any other IEP team meeting until the fall of 2013. In these circumstances, Father’s actions prevented District from meeting its legal obligations to Student in a timely manner. However, this did not entitle District to bypass the legal requirements to document detailed attempts to schedule the June 2013 IEP team meeting or entitle them to make no attempts whatsoever. Since District did not validly hold the IEP team meeting in the absence of Parents, the June 7, 2013 IEP developed at that meeting is voided. Issue 2(b): During the 2012-2013 school year, did District procedurally deny Student a FAPE by denying Parent meaningful participation in the decision-making process because it cancelled or terminated IEP team meetings? 28. Student contends that District unilaterally cancelled IEP team meetings during Student’s sixth grade school year, was unjustified in doing so, and the cancellations denied him a FAPE. District asserts that it was justified in discontinuing or cancelling those IEP team meetings when a required team member was absent, where Parents declined to participate, and where Father was not cooperative and obstructed the conduct of the meetings. 30. As found in the Factual Findings, District terminated and continued Student’s annual IEP team meeting on December 14, 2012, at Father’s request because he refused to cooperate to address Student’s annual program review, levels of performance, and rates of progress until Ms. Bryant, District’s director of special education, attended the meeting. District cooperated with Father, honored his request, and did not proceed to conduct the meeting. Thus, Student cannot establish a procedural violation for the continuance of that meeting. 31. District was justified in cancelling the January 2013 IEP team meeting when Student’s special education teacher and case manager fell, broke a rib, and required medical treatment. The law requires, not just a special education teacher to be present at the IEP team meeting, but the special education teacher of the pupil. Hence, District would have violated the law by going forward without valuable input from Ms. Odekirk during the meeting. She had taught Student since fourth grade and had great insight into his strengths, deficits, needs, and sensitivities. While there is a procedure for parents to provide written consent for the absence of a required team member, District was not required by law to offer this option to Parents. Given Ms. Odekirk’s experience, knowledge, and central role it would not have been reasonable to do so. There was no procedural violation. 32. The IEP team meeting on March 1, 2013, went forward as scheduled and District members of the team attempted to reach the subject of Student’s performance, progress, and overdue IEP, but Father would not permit the discussion to take place as he argued about his complaints. Ms. Bryant unilaterally terminated the meeting due to Father’s lack of cooperation. Hence, Student’s assertion that the meeting was “cancelled” is technically incorrect. Since Father raised his claim about District breaching the 2011 settlement agreement in the December 2012 IEP team meeting, he did not offer any explanation for waiting until March 1, 2013, when he could have arranged to speak to Ms. Bryant in January or February instead. The heart of Father’s disagreement was his belief that Student was not academically prepared for middle school. Instead of adhering to District’s request to cooperate and conduct the IEP team meeting, and hear the information gathered by those who were teaching and working with Student, Father obstructed the meeting and would not refrain from the subjects of his accusations, in a confrontational and aggressive manner. Under these circumstances, after over an hour, District was justified in terminating the meeting. By then, Student’s annual IEP, required by law, was almost three months overdue. However, Father did not permit the IEP team process to function. Since Father’s noncooperation obstructed the IEP process, Student forfeited any claim that the termination of the meeting denied him a FAPE. 33. As for District’s cancellation of the IEP team meeting scheduled on May 24, 2013, District had the option to continue to document attempts to communicate with Parents to encourage them to attend the meeting or negotiate a different date. Had they done so, they could have validly held the meeting in Parents’ absence under the law. Instead, District cancelled the meeting because Father refused to attend. In this circumstance, Student also forfeited the right to claim that cancellation of the meeting denied him a FAPE. Issue 3: Beginning on September 7, 2011, did District deny Student a FAPE because it lied to Parents about, or misrepresented the content of a September 2011 settlement agreement as it rel ated to Student’s grade level? 34. Student contends that District lied about or altered the contents of the 2011 settlement agreement and thereafter misrepresented the actual content of the agreement as it related to Student’s grade level. District argues that Student’s claim is untrue. 35. The proper avenue for enforcement of an agreement settling a special education due process dispute is by an administrative complaint to the California Department of Education. OAH had no jurisdiction to hear such a case. (Wyner v. Manhattan Beach Unified Sch. Dist. (9th Cir. 2000) 223 F.3d 1026, 1028-1029.) In Pedraza v. Alameda Unified Sch. Dist. (N.D.Cal., March 27, 2007, No. 05-04977) 2007 WL 949603, pp. 6-7,) the United States District Court for the Northern District of California held that OAH has jurisdiction to adjudicate claims alleging the denial of FAPE resulting from a violation of a mediated settlement agreement, as opposed to “a mere breach” of the agreement. 36. Student’s contention is not supported by the evidence. The evidence clearly supported District’s compromise with Father to settle his case in September 2011 by agreeing to immediately assess Student and see if the data supported Father’s demand that Student should be retained in a lower grade. There is no evidence that Ms. Bryant or District lied about or misrepresented the content of the settlement agreement to Parents. 37. It is clear that Father did not remember the content of the settlement agreement. He was only provided an English version of the agreement on the day of the settlement. Father offered no explanation as to why he did not assert this claim at the December 2011 IEP team meeting, when the events pertaining to the settlement were fresher in his mind. At that time, with the assistance of an interpreter, he understood that Student was going to stay in Ms. Odekirk’s class for the remainder of that school year, and consented to the IEP. Therefore, Student did not establish that District denied him a FAPE on this basis. Issue 2(c): During the 2012-2013 school year, did District procedurally deny Student a FAPE because it failed to provide effective interpreter services for Parents in connection with Student’s IEP team meetings? 38. Student contends that during his sixth grade year, District denied Parents effective interpreter services for both oral and written translation in connection with Student’s IEP team meetings. District argues that it complied with the law in providing oral and written interpreter services because it always provided Parents with interpreters at Student’s IEP team meetings. District asserts that the law does not require it to provide a written Chinese translation unless Parents request it in writing, and that Parents have not done so. 42. The evidence established that District provided interpreters at the December 2012 and March 2013 IEP team meetings. Father participated in the IEP team meetings with the assistance of the interpreters. However, District’s June 2013 IEP was 30 pages in length and was only provided to Parents in English. 43. Father’s ability to follow some or all of the discussion in the IEP team meetings does not ensure that he has understood everything or would be able to accurately recall important details at a later date, particularly in lengthy, complex documents. The evidence did not establish that he understood sufficient English to understand District’s June 2013 offer without a written Chinese translation. 44. District’s position that any parent should understand the provisions of the Parents’ Rights documents is not persuasive. While that form recites that parents have a right to receive “prior written notice” in their native language, it does not say that includes IEP documents. Prior written notice is a legal term of art. District’s claim that every IEP constitutes a prior written notice is incorrect. The contents of an IEP are governed by Education Code section 56345, and the contents of a prior written notice are governed by Education Code section 56500.4. They are different and some, but not all IEPs contain sufficient information to qualify as a prior written notice. For example, section 56500.4 requires an explanation of why the public agency proposes or refuses to take action. In the June 2013 IEP, there is no explanation, in plain language Parents could understand, why Father’s request to retain Student in elementary school was refused. Only an expert skilled at reading (in his or her native language) the fine points of all the progress and assessment data could read between the lines and discern reasons. In addition, since Parents have a right to receive prior written notice in their native language, District’s assertion that they have to “ask” is also misplaced. Taken to its logical conclusion, pupils with disabilities who have a right to a FAPE would never receive a FAPE unless they or their parents “asked” for the right to be implemented. 45. While the California regulation cited above requires a school district to provide copies of IEPs in the native language of the parents if requested, that is merely a bottom-line regulatory requirement. That regulation cannot override the statutory requirement for informed consent. Informed consent is only achieved once the parent is informed of all relevant information in his or her native language. In cases where parents are non-English speaking individuals, if school districts could meet the requirement of ensuring their meaningful participation by only providing an interpreter at the meeting, the purpose of the law requiring translation of documents would be rendered meaningless. Parents are not required to try to remember everything discussed or decided upon at an IEP meeting, and are entitled to read and review the documents themselves. It is clear that Father did not recall or understand Student’s December 2011 IEP, District’s assessment findings, the 2011 settlement agreement, or the June 2013 IEP because they were only provided to him in English. 46. Parents are entitled to a written offer of the placement and services District proposes for Student. One of the purposes of the written offer is that it assists parents in presenting complaints with respect to any matter relating to the educational placement of the child. In addition, a formal written offer creates a clear record that helps eliminate factual disputes about what placements and services were offered, or why. These purposes would be defeated if Parents were not provided the written offer in their native language and in a timely manner. If Parents cannot read the written offer, then the requirements of Union would be rendered meaningless. 47. Accordingly, District’s failure to provide Parents the June 2014 IEP in their native language resulted in a denial of FAPE because it denied Parents meaningful participation in the decision-making process. Issue 3(a): During the 2012-2013 school year, did District deny Student a FAPE because he did not receive meaningful educational benefit? 48. Student contends that District denied him a FAPE during sixth grade in the 2012-2013 school year because he did not receive any meaningful benefit, and District denies this claim. 49. As determined in Legal Conclusions 6 through 14, District did not deny Student a FAPE by denying him meaningful educational benefit in fifth grade. Student remained in Ms. Odekirk’s class and continued to make academic and functional progress during sixth grade at rates and levels commensurate with his assessed disabilities and deficits. Student accomplished much under the capable instruction of Ms. Odekirk and not only achieved material growth in his academic skills but also in his self-esteem, confidence, and social behaviors. There is simply no evidence that District has denied him a FAPE. Issue 3(b): During the 2012-2013 school year, did District deny Student a FAPE because it failed to provide occupational therapy from January through June 2013? 50. Student contends that District failed to provide him a FAPE because it failed to provide any occupational therapy for him from January through June 2013. Student’s position is based solely on District’s failure to deliver to Student or Parents ongoing written documentation of the provision of the therapy. 52. When Parents no longer received weekly documentation of Student’s occupational therapy, in the form of the occupational therapist’s log note for each session, Father assumed District had stopped providing the therapy but did not contact the provider or District to determine what happened. 53. The log notes were produced at hearing, and the evidence established that the provider continued to faithfully deliver the services through July 2013, even though they had moved the services to the school campus and stopped providing copies of the logs to District and Student. District did not fail to implement Student’s occupational therapy services and there was no denial of FAPE. 1. Student prevailed on Issue 2(a), as to the June 7, 2013 IEP team meeting, and Issue 2(c) in this case. As a remedy, Student requests that District be ordered to provide effective oral and written interpreter services to Parents in connection with Student’s IEP team meetings. 3. Given Father’s evident lack of understanding of District’s documents provided to him in English, District shall be ordered to provide Parents with timely Chinese translations of documents so long as Student is enrolled in District. 11 As a result of this case, OAH has ordered Chinese translations of District’s Exhibits 3 and 5, along with Exhibit 2, the occupational therapy log notes. 2 District’s June 7, 2013 IEP offer is voided. Education Code section 56507, subdivision (d), requires that the hearing decision indicate the extent to which each party has prevailed on each issue heard and decided. Student prevailed on Issues 2(a) and 2(c). District prevailed on all other issues in this case.